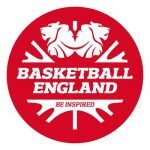 We are committed to safeguarding the welfare of children and adults at risk in basketball. We have worked closely with the Child Protection in Sport Unit (CPSU) NSPCC and the Ann Craft Trust to develop robust policies and procedures to safeguard children and adults at risk, achieving the NSPCC & CPSU's National Advanced Standards for safeguarding and protecting children in sport. We work closely with all our clubs and statutory agencies to ensure that safeguarding children and adults at risk is prioritised. Any allegation, suspicion of harm or concern is taken seriously and responded to swiftly, fairly and appropriately. Our Safeguarding Policy, Adults at Risk Policy & Regulations set out the key principles that our organisation adheres too as well as providing best practice guidance. We also have guidance for our clubs, parents, players, staff and welfare officers. It is recommended that all of our documents be reviewed regularly and updated by clubs and associations as a matter of good practice and in light of recent safeguarding issues raised in the media. These can be downloaded here. Making sure everyone who experiences basketball in a fun and safe environment is really important to us, so we want to make sure everyone who has any concerns or worries about someone’s safety can easily get in touch with us to raise a concern and speak with the most relevant people to sort it out. This section is to help you understand where you can go for more information on how to be safe when playing basketball and what to do if you are worried or have any questions about anything which might be making you feel uncomfortable. If you’re a club who has young people under the age of 18, it’s your responsibility to make sure those people are in a safe and welcoming environment. Appointing a club welfare officer is a really good way of doing this as it means there is a dedicated individual who the young people, coaches and parents can go to. Keeping everyone in basketball safe is really important to us, so this section aims to outline who requires a DBS check and the process behind this. Our Youth Forum is made up of young people from around the country who can share ideas, give great feedback and consult on a wide range of issues affecting young people in basketball. They represent all aspects of basketball, from fan to player. Click here to access our extensive library of guidance information and template documents relating to safeguarding and welfare.